Free eBooks for TouringPlans Subscribers! What's better than a year's access to the Crowd Calendars, touring plans, and Lines app that you get when you subscribe to TouringPlans? Free eBooks! We recommend that you always download PDF eBooks to your computer and then transfer them to tablet, smartphone, eReader, etc. See our eBook Download Hints for further details. 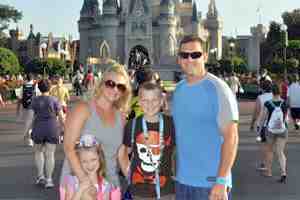 Subscribers can access full copies on our Walt Disney World eBook Download Page. Not a subscriber yet? Join here. 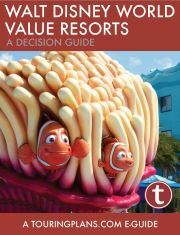 Need help picking the perfect Value Resort for your Walt Disney World vacation? TouringPlans is here to break it down for you. We tell you the pros and cons of the All Star Resorts, Pop Century, and Art of Animation Resort. Subscribers can access full copies on our Universal Orlando eBook Download Page. Not a subscriber yet? Join here. Are you feeling like a real Muggle when comes to planning your Harry Potter experience at Universal Orlando Resort? Are you not even sure what a Muggle is? 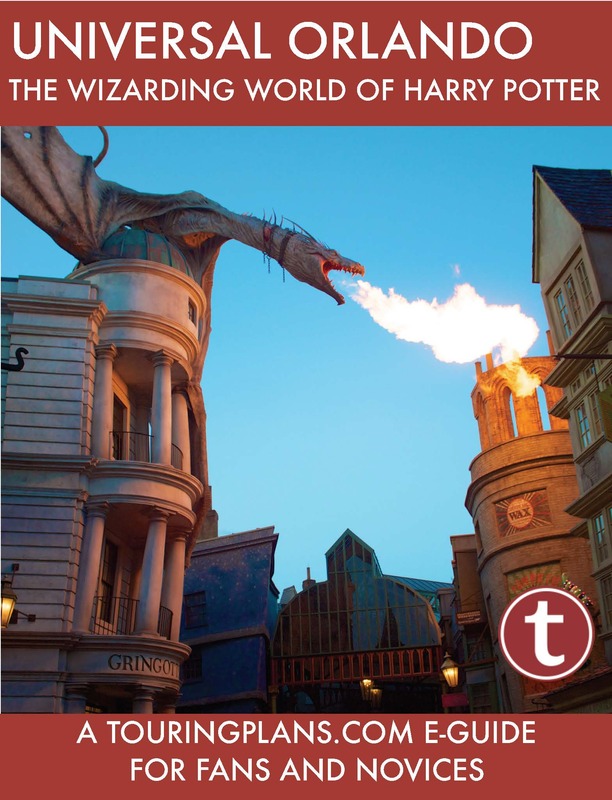 Download our eBook, Universal Orlando: The Wizarding World of Harry Potter today to start planning your next trip to Hogsmeade Village and Diagon Alley. It's free with your Universal Orlando subscription.